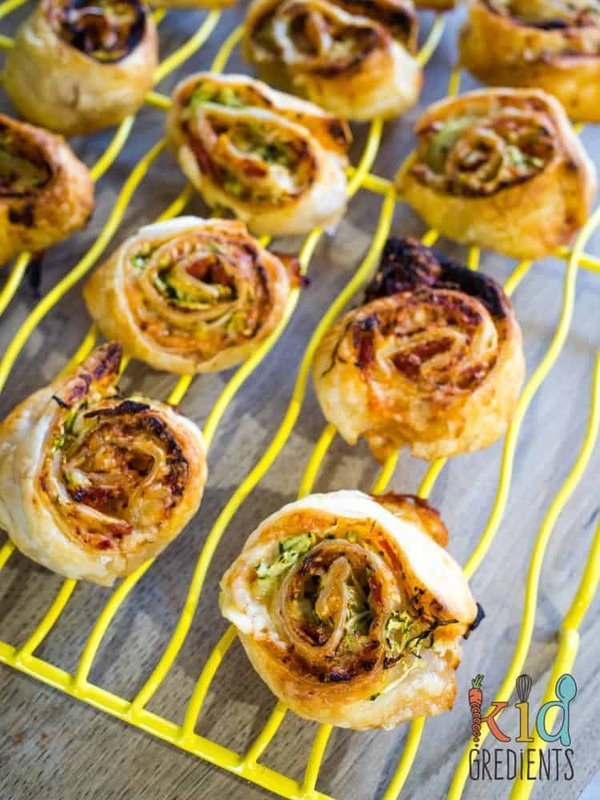 Sometimes I’ve got everything organised, the week goes really well and thinks like these salami pizza scrolls are in the freezer ready to go. 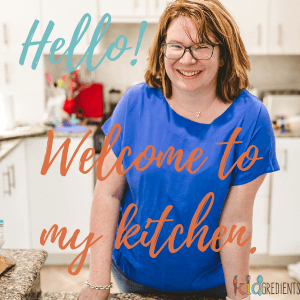 Then there are weeks like this one, with birthdays, activities, puppies…and news that needs to be done at the last second…oh and “mum, we need to do a recipe!” What? So here we were this afternoon between school pickup and dancing drop off making salami pizza scrolls for news for school. Luckily the recipe was simple! Miss 8 (yes, she turned 8 this week!) came up with the fillings. 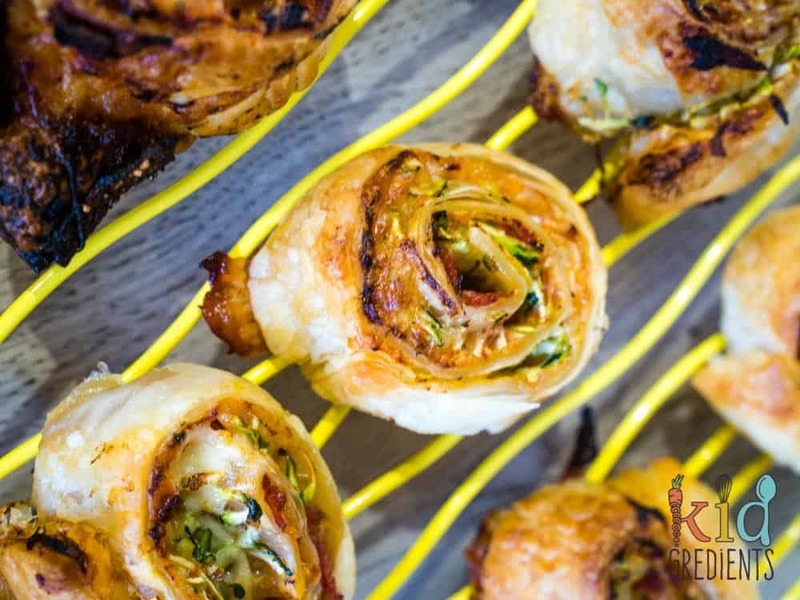 This really is one to make with the kids, no fiddly dough, no tricky steps, no long wait for the food! We always slip zucchini into our pizzas, it hides really well and is an awesome flavour. My kids know there is zucchini in there, but they didn’t initially. They called it green cheese. Most of the work on these was done by Miss 8, as you can see from the step by step photos! 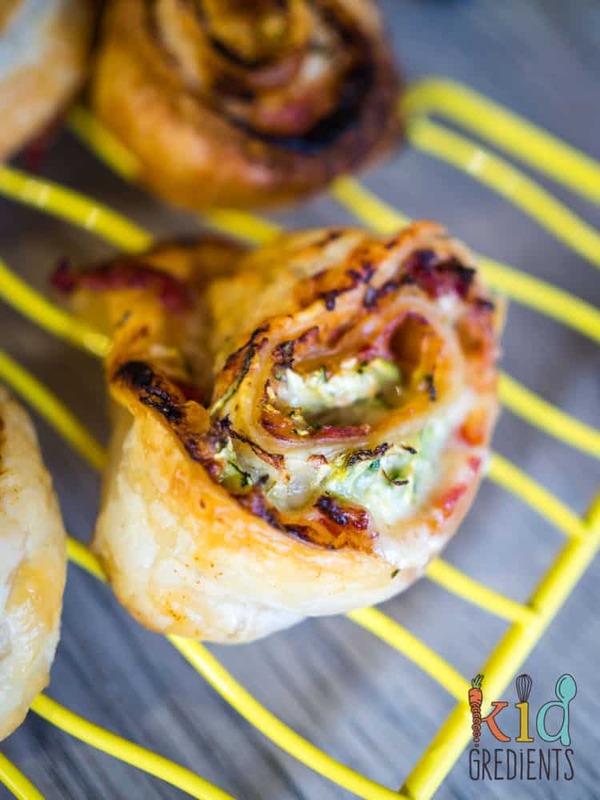 Scrolls are always a winner in the lunchbox, we nearly always have some in the freezer, savoury or sweet ready to go! 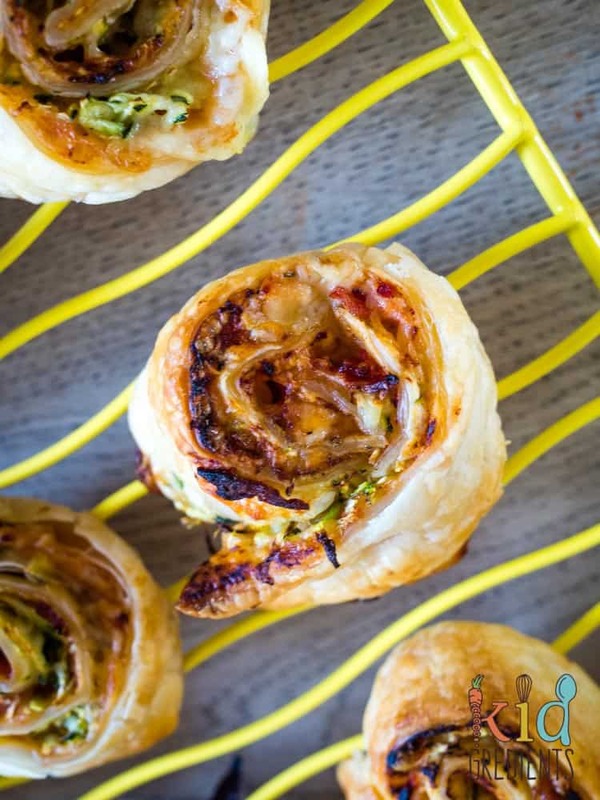 If you would prefer pizza savoury muffins, these are great! Or if you are looking for gluten free pizzas, give these brown rice pizza bases a go! 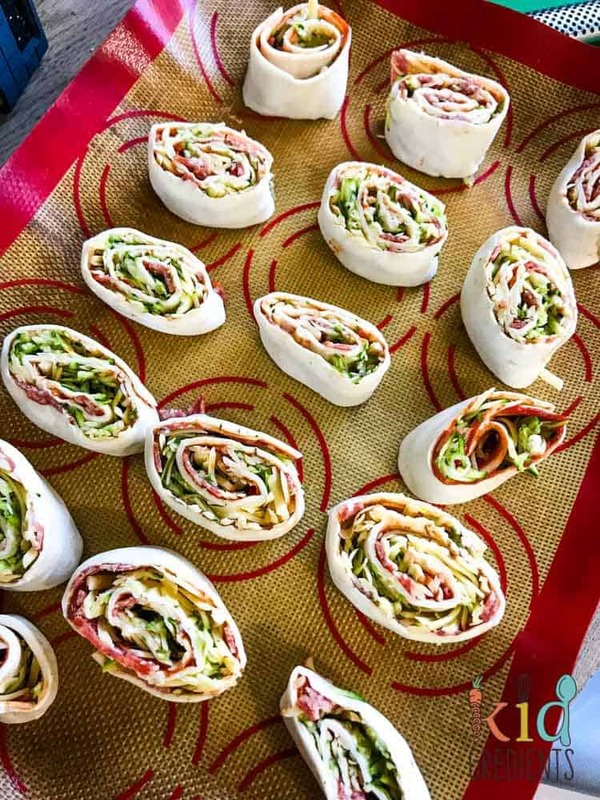 As with all the scrolls on the blog, these salami pizza scrolls freeze well and defrost easily in the lunchbox! And did I mention that they are also super delicious? What are you waiting for? 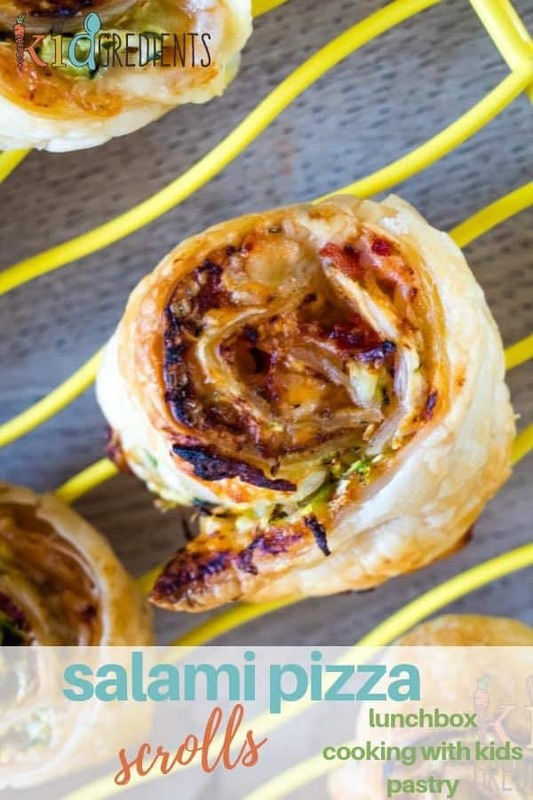 Make these with (or without!) the kids today to restock the freezer! 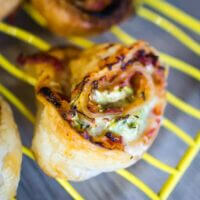 Salami pizza scrolls, perfect for the lunchbox, easy to make and easy to freeze. Great for making with kids. Spread the tomato paste all over the pastry. Sprinkle the Italian herbs over the pastry. Spread the salami over the tomato paste and pastry. Roll the pastry into a log, then cut each log into 8 rounds. Spread out on a baking tray and bake for 20 minutes. Freeze on a tray until solid and then pop into freezer bags or containers. Hello, do you freeze before or after cooking? Either! But I tend to do it after baking so I can grab them from the freezer for lunches.